The March 27, 2014 edition of the Troy Times-Tribune is now available. 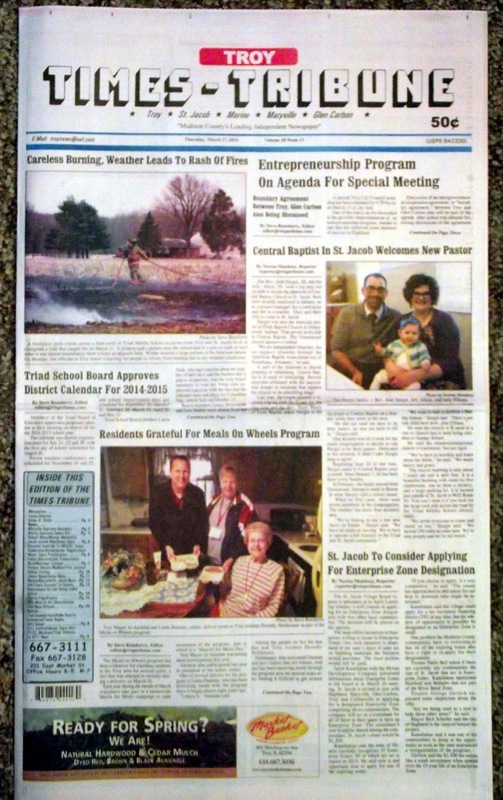 Some of the stories in this issue: Entrepreneurship Program, Central Baptist Welcomes Pastor, Triad Board OKs Calendar, St. Jacob Applying for Enterprise Zone, Meals on Weals Program, Maryville-Glen Carbon Boundary Agreement, Marine Approves Sewer Re-lining Bid, Marine Launches Website, St. Jacob Installs New Signs, Baseball Knights Start Season With Victories, Spring Valley Schoolhouse feature, a column from Steve Rensberry about fire hazards, and more. 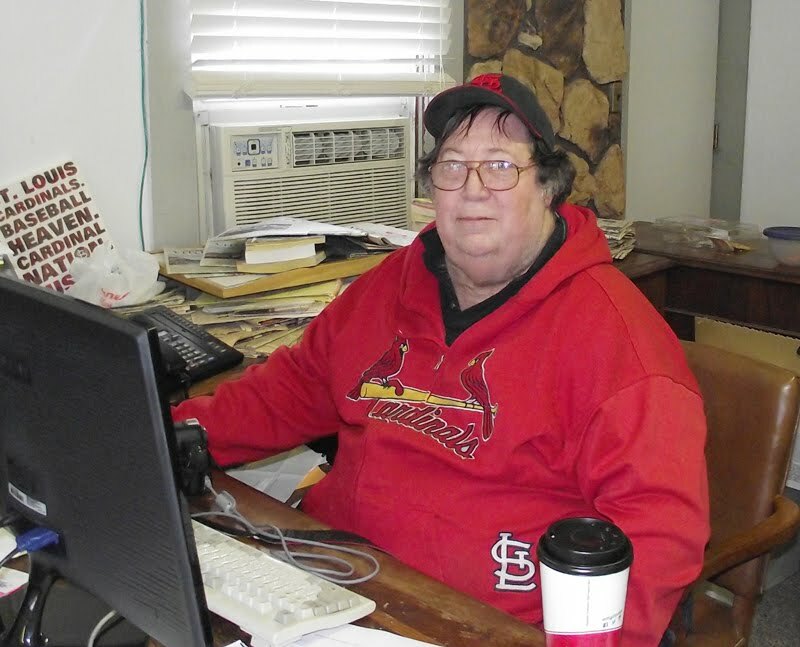 Obituaries include those for Vivian B. Smith, and Louise Simpson.